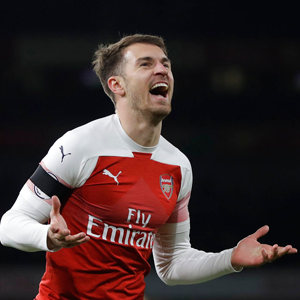 Cape Town - Arsenal duo Aaron Ramsey and Laurent Koscielny are expected to shrug off knocks to feature against Everton on Sunday in the Premier League. Wales international Ramsey was forced off in the second half of the win over Newcastle United on Monday, with what at first appeared to be a recurrence of his recent thigh problem. Koscielny sat out the encounter against the Magpies but now the Frenchman and Ramsey are thought to be ready for the trip to Merseyside to face Everton. There are still some doubts for manager Unai Emery over the fitness of Switzerland international Granit Xhaka, who suffered an abductor injury playing for the national side and faces a race to be fit for the clash at Goodison Park. The Gunners are currently fourth in the Premier League table as they battle to guarantee Champions League football for next season.